Uganda’s 600MW Karuma hydropower plant is set to commence the construction of transmission power lines; this is after intec – GOPA-International Energy, a German energy consulting company agreed on a US$ 6.3m consultancy services contract. Funding for the construction of the transmission lines at Karuma hydropower plant are from China’s Exim bank. 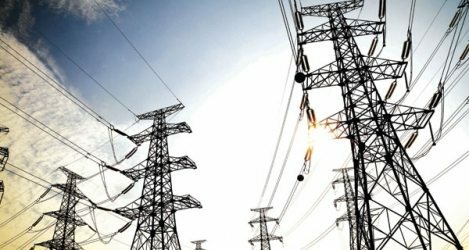 Eriasi Kiyemba, Uganda Electricity Transmission Company Limited (UETCL) Managing Director said the transmission lines to be constructed at Karuma hydropwer pant and the associated substations were intended to increase and improve power service delivery in the country. “The government through UETCL, the implementing agency, will construct the Karuma- Kawanda 440kV, Karuma-Olwiyo 400kV and Karuma -Lira 132kV transmission lines to provide adequate capacity to evacuate power generated at the Karuma Hydro Power station (HPS),” Mr. Kiyemba said. Construction is projected to be complete in 2018 and the Karuma Interconnection Project to be commissioned in 2017. Klaus Langschield, a consultant with Gopa-International Energy, said they have the expertise to do the work within the specified time. The government awarded the Engineering, Procurement and Consultancy (EPC) contract of the construction of the power station and Karuma Interconnection Project to Sinohydro Corporation. intec – GOPA-International Energy is an independent German engineering and consulting company focusing on developing practical, innovative and cost-effective solutions for the design and improvement of Power Systems, the use of Renewable Energy sources and the application of Sustainable Energy technologies around the world.